Welcome once again to your weekly dose of Force Lore, where we explore the who, what, when, and why of the Star Wars Universe and how it ties in with Star Wars: The Old Republic. Thank you to all of you that have been supporting of the column and all of the hard workers here at Corellian Run Radio. Last week we started looking at the Jedi and the Sith, with how their ideologies and organizations either parallel each other or are mirror opposites of each other. Part one examined the Jedi and now today we’ll be looking at the Sith. And what perfect timing! Fans of the cartoon series The Clone Wars™ on Cartoon Network™ had a nice surprise on the season finale this weekend with the return of one of The Phantom Menace’s most under-rated villains, Darth Maul. It’s a perfect prelude for this week’s column. Set your navicomputer and follow me in after the jump! Darth Maul is just one of the many infamous Dark Lords and personalities that have arose from the faction known as the Sith. This dark order is in many ways, just as old as the Jedi Order, while at the same time, older than the Light Side do-gooders. Starting with the “Pure Blood” species, its self known as the Sith, the group of Darksiders that would eventually come to be what we see in SWTOR came into being on the planet of Korriban. These red skinned beings practiced dark arts centering around sorcery and alchemy, interlaced with the Dark Side of the Force. This species was a proud, violent group of humanoids that had a large number of Force-sensitives among their numbers. For thousands of years, these Sith fought amongst themselves and expanded to nearby planets using stolen/captured Rakata technology. Now, you have to consider that throughout the years after the founding of the Jedi Order, the Jedi had to contend with individuals that would fall to temptation, questing for power and personal glory. These “Dark” Jedi would eventually be exiled from the then known galaxy and forced to wander, cast out from the Order and still seeking to quench their thirst for power. In some ways, these Dark Jedi paralleled the ideals of the Sith, yet considered themselves far superior to the Pure Blood Sith. When the Dark Jedi encountered the Sith species, a marriage made in hell was bound to ensue. Power and control, fueled by raw emotion, fed the Dark Jedi as they overtook the Sith and began creating the faction that would become the Sith Empire. This group would spawn the individuals that would be responsible for some of the worst conflicts brought upon the galaxy such as Naga Sadow, Darth Revan and Malek, Exar Kun, and of course, Darth Sidious and Vader. This mantra was created as a “spit” upon the Jedi mantra. 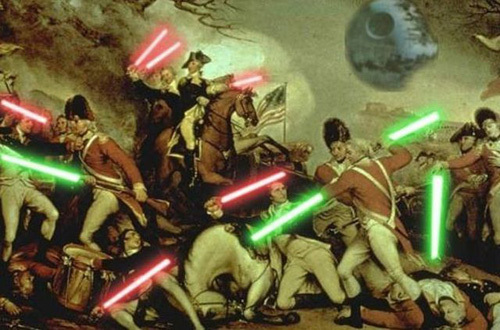 The Sith choose not to even attempt to be pacifists in life. Their ways are always to embrace the conflict and overcome it. Within the Sith, there are the two playable classes which are modeled upon the ideals of the Sith and act as counters to the Jedi Knights and Sages. These two are the Sith Warrior and the Sith Inquisitor, paralleling their Jedi counterparts respectively. 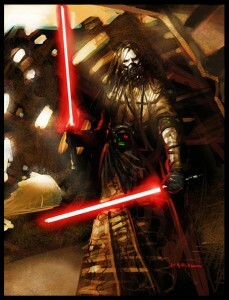 The Sith Warrior is the backbone of the Sith Empire’s forces. These guys and gals are the bruisers, the brawlers, and the enforcers for the Empire and the Emperor’s will. The Warriors embrace the raw emotions of fear and anger, turning them into fuel to drive them as “up close and personal” weapons of destruction. These Dark Side warriors are a melee class, without much ranged attack ability. The Advanced Classes of Juggernaut and Marauder are both melee based: The Juggernaut being the “wade in and duke it out” tank, while the Marauder is the “strike hard and fast”, dual-welding fighter. Within the game, Darth Malgus is the best example of the Sith Warrior. 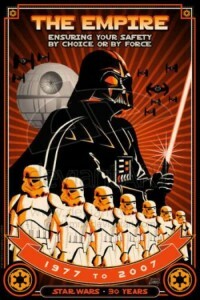 The movers and the shakers within the political realm of the Sith Empire are the Sith Inquisitors. These manipulators of the Force use the Dark Side as a weapon, harnessing their hate and anger into destructive energies they may hurl at their enemies. These Inquisitors are concerned with the secrets of the Empire, artifacts relating to the Force, and the philosophies of the Dark Side. The Advanced Classes of the Inquisitor are the Assassin and the Sorcerer. Much like the Jedi Shadow, the Assassin is a Rogue incarnate, able to move through the shadows and ambush their enemies with brutal melee tactics. The Assassin AC can also perform some tanking duties as well. The Sorcerer is the ranged AC, able to use the energies of the Force to heal allies or destroy their enemies from afar. With Force Lightning streaming from the fingertips, you can run around yelling “Absolute Power!” as you destroy your foes. Recruiting? Nah... You'll serve just because! 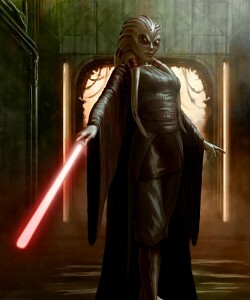 The Sith pose a dark threat to the galaxy, with little concern for life and more concern for personal glory and power. Unlike the Jedi, the Sith will only concede when they have won. And we who follow the EU of Star Wars know that they never give up!